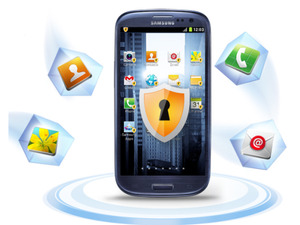 Xamarin and Samsung Electronics have worked together to make it easier for developers to create apps that can run on Samsung’s Knox security platform. Xamarin’s platform lets developers use C# to build native applications for iOS, Android, Mac and Windows, and share on average 75 percent of the source code across the different operating systems, according to the company. To help Android developers, Xamarin and Samsung engineers have collaborated to make sure they can build and get support for apps that run within the Knox app container with a minimum of fuss. 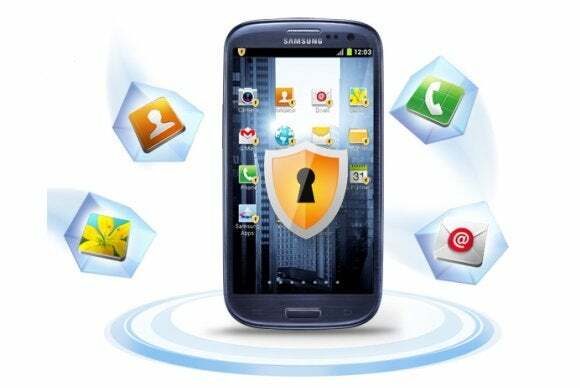 With Knox, Samsung hopes to convince more enterprises to adopt its Android-based Galaxy devices, thanks to the improved security the platform offers. Knox’s security is based on the isolated container, which comes with its own home screen, launcher, apps and widgets. For apps inside the container to be isolated from applications outside the container, they must be wrapped with an extra layer of security. Xamarin apps are now certified to run in the container, and be compatible with the wrapping process. “This is the beginning of a much larger relationship with Samsung,” said Mark Gaydos, senior vice president of marketing at Xamarin. As enterprises become increasingly reliant on employees who can access sensitive data using their smartphones and tablets, security becomes critical. Products like Knox and competing platforms are part of the effort to keep hackers away, but it’s equally important that developers write secure apps. To help them along, Xamarin is working on adding a security course to its University offering. This is the third partnership announcement Xamarin has made since December last year. In addition to working with Samsung, the company has also joined forces with SAP and Microsoft. The deal with SAP aims to make it easier for enterprise developers to integrate SAP mobile solutions as well as other back-end data sources. The collaboration with Microsoft is about better integration between Xamarin’s technology and Microsoft’s developer tools and services, including Visual Studio 2013. “Both have had an impact on the growth of the business. Certainly Microsoft took us to a whole new level, and with SAP there was an additional bump,” Gaydos said. The Xamarin developers community now includes over 550,000 developers, according to the company’s website.